I'm currently using the built in Orchestral sounds in Logic Pro X on Mac. But they do not sound realistic. What are the best orchestral libraries for Kontakt? Or Vsts? Preferrably libraries that does not take 100's of gigabytes on my HD. Re: Best orchestral libraries for Kontakt? Orchestral libraries take up space, if you want realism. If you want all of the orchestra residing on a hard drive you're looking probably at 100s of GB. You could get very selective and build it up by sections, but this indicates a need for a detailed and experienced understanding of orchestration. Orchestral Tools Berlin Strings is itself 115GB. I have one thing, which is very special and limited from them, Special Bows II which is over 12GB and this is just celli and bassi for a bit of flautando, col legno, *special bows* things. OTOH, I have a Gigastudio conversion of an old VSL where the Violins section is 8.5 GB incl. con sord (mutes). "the best"... symphonic orchestra? Chamber? Classical period, late romantic? The size varies. A Symphony Orchestra may employ 100 players or so. Articulating these instruments properly means a lot of samples recorded. For the most part I want VSL with their instrument VI Pro because of the interface and control. It looks like you're about to dive into the deep end of the pool not knowing it's deep, tbh. The library I bought was Orchestral Essentials 1. It's my only library and therefor my favorite. Another one I saw with great sound and a small memory footprint was Berlin Inspire. Amadeus is a less expensive option with lots of instruments. K, bye. Berlin Inspire is marketed as a sketchpad sort of thing. Whether or not that's going to produce more realism than the things in EXS from Logic, I don't know. 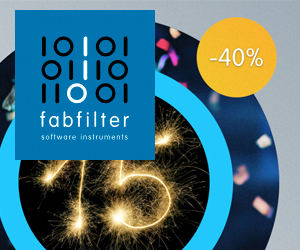 Or if it's a great improvement over Kontakt Factory Library, although it should better be for 399 euro. There's a bit of disconnect between wanting realistic orchestra and a "small footprint" because realism = more articulate = more was sampled. But I suppose we have to take it with a grain of salt since the comparison so far has been limited to the stock things in Logic and the OP is probably not terrifically ambitious right now. I'm not a big fan of the Berlin product in general, from my experience. The things I have sound 'pretty good' but the interface leaves a lot to be desired IMO. Orchestral Tools Inspire, Spitfire, East West Brass and percussion. It might help to know which type of orchestral sounds you want. The VSL sounds that come with Komplete are from an old Vienna Symphonic Library collection. They might help you flesh out a string or horn section, but they're not terribly great on their own. 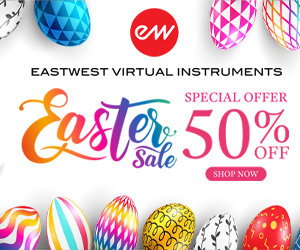 EastWest has "cinematic"/"Hollywood" orchestral sounds, and more "traditional" orchestral sounds. Other developers tend to have one or the other, though some offer both. But if you're looking for "Pop"-sounding strings or "Motown horn" sounds, you may want to look at Garritan, Sonivox or one of the other, smaller developers who tend to more or less specialize in those sounds. These will be smaller libraries, though you'll also have fewer articulations or other (relatively minor) restrictions. Both are on sale, but for a limited time. My objection to Orchestral Tools (and Spitfire since you mention Albion, until they expanded into other differing interest, a big subject) is the price for the articulations included is very high. And they come out with expansions to fill in the gaps meaning more expenditure. But Orchestra is a big subject. Romantic era, vs Classical, vs... Chamber vs Symphonic... there are many products to consider. I have some old VSL from the Giga days converted to Kontakt that aren't quite the gigantic footprint (and theirs is smaller in general because they don't go for more than 4 layers, organizing the recording of samples to maximize what a layer is) things are today. There's a big gap between entry-level and realism; realism in an orchestra score means detail. It's easier to not have to deal with so much complexity and have as much done for you as possible but for others to be convinced it's an orchestra is another matter. The reason people use real orchestras for theatrical movies is the sense of space which is projected in the larger venue. TV less so. Games, you may get away with a lot. 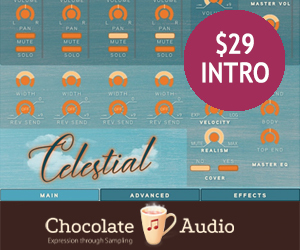 Not Kontakt but for a pretty swell-sounding starter set VSL is bundling Epic Orchestra 2 for free with VE Pro 7, out today. Sounds quite good considering. Thanks for the heads-up. I will probably get the controller. Yeah, no, it doesn't quite work for OSX.11 and up and they've stated they don't care. But on topic, you can't build an orchestra out of solo instruments, the whole chorusing effect of the group is not at all viable this way. I was going to mention VSL, which is pretty much the orchestral library to get if you're serious about orchestral libraries, articulations, mic placement and tons of other useful features. But that didn't satisfy the OP's "does not take 100s of gigabytes" requirement. All that said, it appears the OP was asking a rhetorical question, since he hasn't been back in almost two weeks to see what his options are. “Realistic” orchestra is extremely difficult to achieve even with the best libraries. Understanding the articulation, how/when to employ them, how they relate to other instruments etc.. etc.. not to mention just simply learning how to control them in hour host and Kontakt. 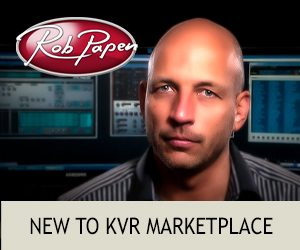 I’ve heard stuff that used the old Kontakt VSL stuff that is awesome. I’ve heard people used $50k worth of orchestra libraries and it sounds like someone doing a sample file audit.